We've all heard of Rekorderlig, yeah? It feels a bit like this Swedish cider has taken over the world this year (kicking the less tasty, fizzier versions out of the water), but for good reason - it's bloody lovely! This summer they launched their Swedish School - a campaign teaching cider-lovers how to bring out their inner-Swedishness (which I'm sure we all have). The videos are funny, but (more importantly) feature people with THE MOST INCREDIBLE HAIR. Effortless, just look at my lovely bed head curls hair. I'm a bit jealous. THERE IS NO SUN IN SCOTLAND (ruining the nice picnic photos I had planned). But look, you can drink it inside! With fruit! Hooray! 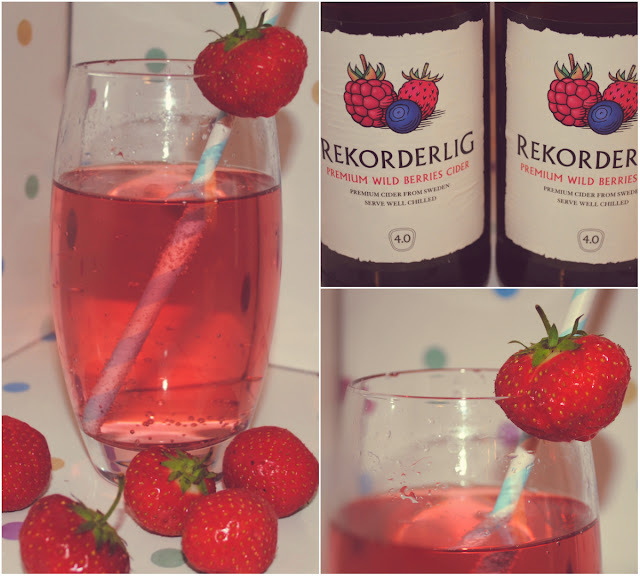 To celebrate the new campaign, the lovely folk at Rekorderlig have given me THREE CASES for you lovely lot to win. The ciders come in a whole host of flavours, and the winners can pick their flavour of choice (I recommend wild berries. Mmm!). To enter, just fill in the rafflecopter form below. If you've been taking part in my other giveaways (it's been a bit of a theme this week) then it is super easy to take part - you'll have done it all already! The competition is open to anyone from the UK who is over 18 (tsk tsk underagers). p.s. if giveaways do your head in, I promise I will be back to normal service next week! I love the Strawberry and Lime one! I tried the Mango and Raspberry last night - so tasty! My choice would be Strawberry & Lime! Strawberry and Lime, for sure! my favourite is strawberry an lime, yum! I'm a strawberry and lime girl too. LOVE Rekorderlig. try Tesco's they been doing it recently !!! I like Rekorderlig, I've tried the apple and blackberry, pear and the mixed berry ones, which are all nice, but I really like the sound of the Winter cider, I've never tried that one and it sounds pretty nice! You have great taste, wild berries is my fave as well!! Didn't know they had so many flavours! Will have to look out for the winter cider one...more appropriate for our Scottish weather!